Located at the center of the developing residential District 11, this retail development is set back from the roadway and approached through a carefully landscaped and shaded parking area. 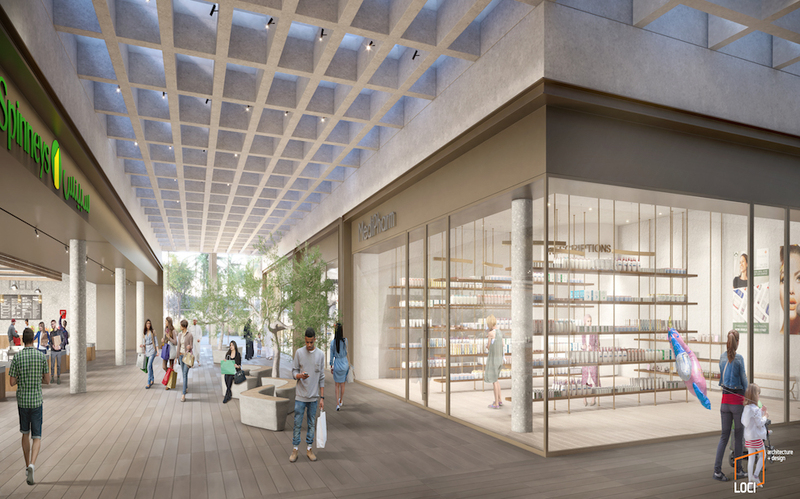 The retail program is contained within a colonnaded and covered loggia to the front, which articulates and unifies the program, with F&B functions activating the entire façade, with open and enclosed terraces. Entering at either ends of an internal ‘avenue’, through glass boxes inserted into the colonnaded façade, this hardscape central spine, with skylights drawing natural light inside diffused through translucent ceiling panels forms an elegant promenade, linking the retail units and leading to the main focus of the supermarket. 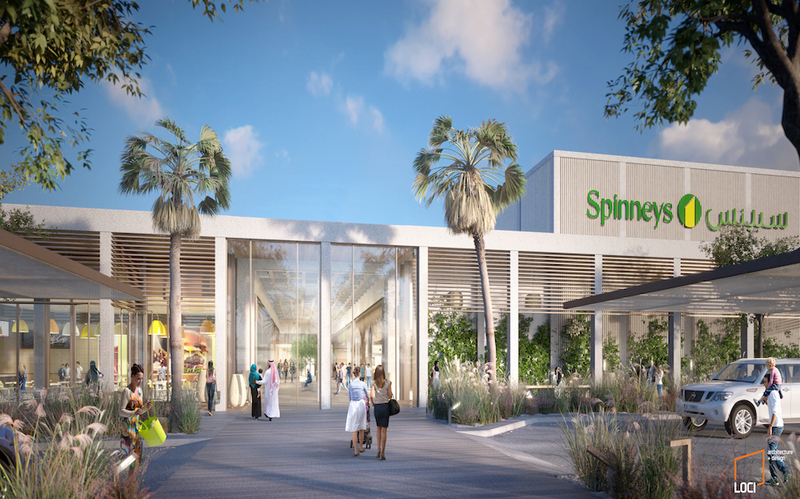 The intention is to create a village center, where customers can linger either within the retail avenue, or the open and closed F&B terraces, stop for lunch, enjoy a coffee, as well as shopping. 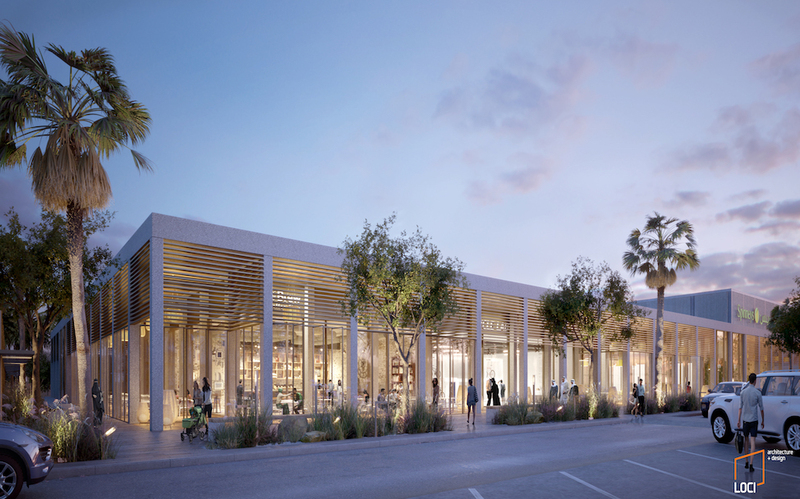 The customer is guided to the supermarket from the parking or drop-off areas along the exterior covered ‘loggia’ or via the internal ‘retail avenue’, where external paving extends inside, olive trees are placed along the route with wood benches accentuating the external street-like quality of this air-conditioned space. This reflects a new approach to retail design in the region, where interior ‘malls’ and replaced with bright open air-conditioned spaces that are pleasant to be in and act as interior streets, especially necessary during the hot summer months, where you are inside but have the feeling of being outside.